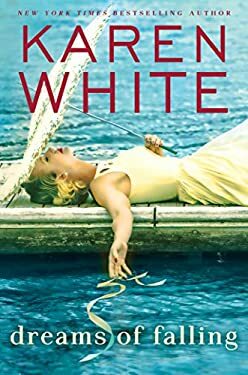 One of PureWow's "Best Beach Reads of Summer 2018" New York Times bestselling author Karen White crafts evocative relationships in this contemporary women's fiction novel, set in the Lowcountry of South Carolina, about lifelong friends who share a devastating secret. On the banks of the North Santee River stands a moss-draped oak that was once entrusted with the dreams of three young girls. Into the tree's trunk, they placed their greatest hopes, written on ribbons, for safekeeping--including the most important one: Friends forever, come what may. But life can waylay the best of intentions.... Nine years ago, a humiliated Larkin Lanier fled Georgetown, South Carolina, knowing she could never go back. But when she finds out that her mother has disappeared, she realizes she has no choice but to return to the place she both loves and dreads--and to the family and friends who never stopped wishing for her to come home. Ivy, Larkin's mother, is discovered badly injured and unconscious in the burned-out wreckage of her ancestral plantation home. No one knows why Ivy was there, but as Larkin digs for answers, she uncovers secrets kept for nearly fifty years--whispers of love, sacrifice, and betrayal--that lead back to three girls on the brink of womanhood who found their friendship tested in the most heartbreaking ways. New (224 available) BRAND NEW. Over 1.5 million happy customers. 100% money-back guarantee. Make your purchase count: support Better World Books' worldwide literacy partners.